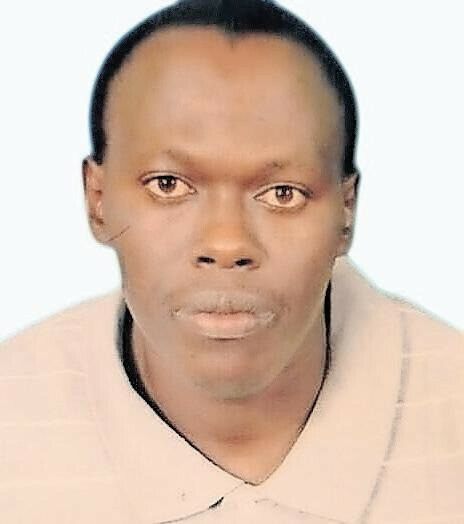 It is with deep sorrow and humble acceptance of God’s Will that we announce the passing of our beloved Lazaro Maina Kinyua of Laikipia County, Nanyuki, on 28th of March 2019 at 3.30 p.m., at Avenue Hospital. Son of Stephen Kinyua Ngatia and Grace Wangui of Nanyuki. Step son of Josephine Wanjiku and Cecily Karuana. Husband of Rose Nyawira. Loving dad of Steve Kinyua and Tiffany Wangui. Son in-Law of Nancy and Charles Mwai of Nanyuki. Brother of Tekla Wairimu, Patricia Wanjugu, Juliana Wangui, Anthony Ndegwa and Faith Wagithi; Step-brother of Christine Gathoni, Patrick Maina, Tekla-Stacy, and Steve Maina; Brother in-law of Robert Muchiri, Robert Mukundi, Anthony Kiarie, Dominic Wachira, Paul Kingori and Sam Ndirangu. Nephew of Juliana, Teresa, the late Nderitu, the late Agatha, Wanjira, Pastor Agnes, Asunta, the Kahiga’s and the Monicah’s family. Friend, Uncle and Cousin of many. Special friend to Laikipia County Employees and Nanyuki residents. Special brother of Mohammed Amin, ‘Deddy’ MP. Laikipia East. Friends and family members are meeting daily at Emess Hotel-Old Post Office next to Equity Bank, Nanyuki and at the Father’s residence, at Muthaiga opposite Nanyuki Sports Club. In Nairobi, meetings will be held daily at Garden Square from 5.00 p.m. The cortège assembles at Nanyuki Referral Hospital Mortuary on Saturday 6th of April 2019 at 7.00am. The Funeral Service and burial will take place thereafter at Baraka (Sweet waters Road) next to AP post’ starting at 10am. In God’s hands you rest surrounded by Angels; in our hearts, you will live forever.